Finding the ideal community and home to live in are highly subjective tasks, yet some locations and options are more universally appealing than others. When examining the city of Edina, Minnesota, it’s easy to imagine how homeowners would find this mid-size (est. population 50k) suburban city an ideal place to live, especially, when living in a custom built home. In an effort to explain, let’s explore what there’s to know about building a custom home and living in Edina, Minnesota. Edina is conveniently located only a few miles from downtown Minneapolis and about 10 miles from St. Paul. 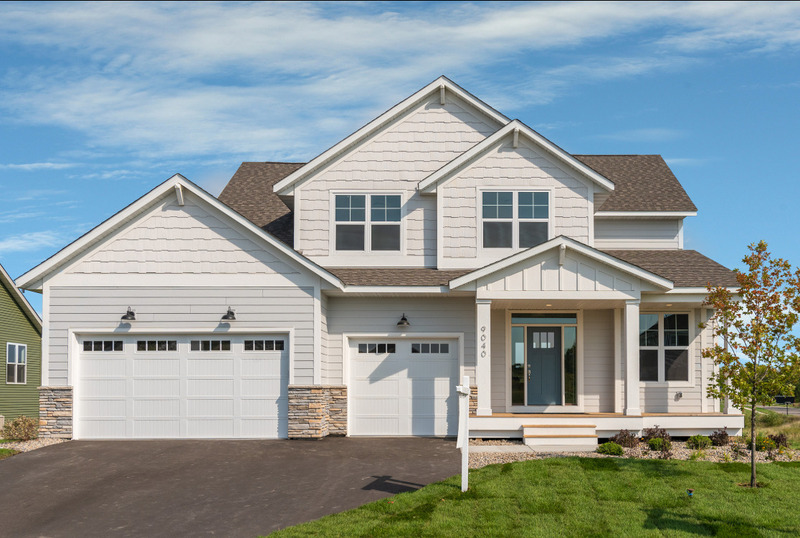 This makes commuting to the big Twin Cities a viable option for homeowners who want to live in the quiet and peaceful surroundings of Edina while still working in the bigger neighboring cities. Essentially, Edina is a cut above the average for Minnesota and the U.S. when it comes to low crime, quality schools, income levels, education levels of residents, and more; this is partly why single-family new housing construction building permits have slowly increased over the last 10 years, as has the population. With a higher than average household income, education level, and median age (around 45), Edina is a great place for mature, educated professionals to live who love their community. Filled with residents who support their community, volunteer and innovate, Edina continues to grow. A nationally renowned school district, thriving economy and a collection of public parks appeals to families, businesses and retirees. Overall, Edina is above average when it comes to livability, and the short distance to its larger neighboring cities allows professionals to easily commute while still living in the ideal suburban environment. Besides being a peaceful community with a low crime rate, Edina has a lot to offer when it comes to community activities, recreation, attractions, parks, sports, shopping, dining, music, and more. Its close distance to Minneapolis and St. Paul adds even more exciting activities and destinations to enjoy. The more affluent area of Edina is in the northeastern quarter where the Edina Country Club is located and the Minnehaha Creek flows through. The four quarters of Edina are nearly equally separated by HWY 100 (north and south) and HWY 62 (east and west). The northeast quarter is also home to Edina’s downtown area called 50th and France. Located around the intersection of the streets with the same name, the downtown area has 175 retailers and professional services to choose from. This is one of Edina’s hotspots, offering residents a nightlife with music, fine dining, boutique shops, art fairs, fashion shows, wine tasting, specialty classes, happy hours, festivals, and much more. Each quarter of Edina has its own centers of activity for residents to get involved with. Suffice it to say, residents won’t be disappointed with what Edina has to offer. From the natural scenery of their parks and golf courses to the luxurious downtown nightlife, Edina will satisfy just about anyone’s sense of adventure and fun. Edina offers residents quality choices when it comes to schools as well. The Edina Public Schools is a “…nationally recognized suburban public school district serving approximately 8,500 students.” This includes six elementary schools, two middle schools, and one high school, serving 85% of the city’s student population. There are also three private school options available with Our Lady of Grace Catholic School, Chesterton Academy, and Calvin Christian School. Two other districts partly serving Edina are Hopkins Public Schools (northwest quarter) and Richfield Public Schools (southeast quarter). The median house or condo value in Edina ($463k) is twice as high as Minnesota ($211k), reflecting the quality of living standards residents enjoy and the high demand for homes in the area. The most expensive neighborhoods are located in the northeast and southwest quarters, yet the northwest quarter offers the nice neighborhoods of Parkwood Knolls, Fox Meadow, and Highlands. Ultimately, the right neighborhood and area to live in will depend on the homeowners’ preferences and needs. 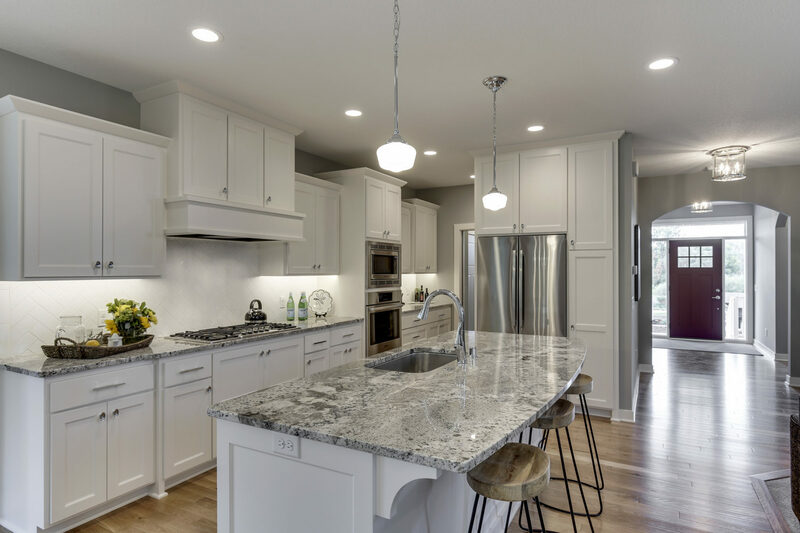 While there are hundreds of homes available to buy in Edina, potential homeowners should consider the options of having a custom home built or buying a lower priced home and remodeling it. This expands the options available when it comes to location, price, and personalization. Custom built homes and remodels give homeowners a finished product that fits their needs and preferences. Working with a quality design and construction service, homeowners can personalize their space and create an ideal living situation that’s within their budget. Having a custom home built allows homeowners more choices when it comes to the neighborhood they want to live in. Instead of setting for a lackluster house in a preferable neighborhood, homeowners can have their ideal home built in a preferable neighborhood, or they can remodel the lackluster house to fit their preferences and needs. Whatever the exact scenario may be, having these options available gives potential residents and homeowners of Edina the ability to reside in the ideal city and neighborhood while living in their ideal home. If interested in learning how GreenWood Design Build can help please contact us today.